This presentation focused on the benefits, challenges and importance of communal and public spaces in high-rise buildings, using vertical villages and the office building 8 Chifley as a case study example. 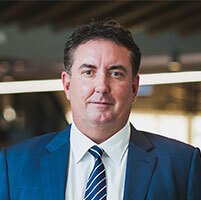 8 Chifley is a pioneering example of the vertical village concept in Australia, with the tenants experiencing a number of positive outcomes, including increased collaboration communication and visual connectivity. The presentation addressed these outcomes, as well as the potential workplace challenges associated with vertical villages, including adaptation, security and efficiency.